But I think Andrew Sprung hit on what was really so distasteful about the whole episode: its knee-jerk quality. 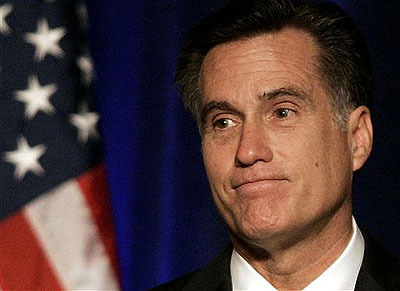 You do not have to be expert in anything to assess the merit of Romney’s reaction—or his fitness for the presidency. You need only be a social mammal of the human species. In response to everything Obama [does] or says—or, for that matter, anything his primary opponents did or said—Romney’s reaction is so knee-jerk condemnatory, so extravagantly worded, so predictably self-serving that the instinctive response for most listeners or readers not themselves besotted with hatred for the target has got to be, “this guy is faking it.” His condemnations have the rote extravagance of a Soviet communique. What we have here is a meme that was born in the fever swamps of the conservative blogosphere—Obama apologized to attackers!—and which the Romney campaign could barely restrain itself from mimicking even while the entire episode was still unfolding. They didn’t care whether it was true (it wasn’t), they didn’t care if it was appropriate, and they didn’t care what effect on actual events it might have. They just jumped at a chance to pretend that Obama had disgraced the country yet again. In Romneyland, everything Obama does is automatically a disgrace, no matter how you have to mangle his words to get there. But this time they’ve seriously misjudged things. This was not the time or place for an insta-reaction that was so plainly political, so obviously twisted, so transparently opportunistic, and so obnoxiously over the top. But they just don’t know any other way of running a campaign. This is who they are.